If you were looking forward to seeing more of Hideo Kojima’s bizarre opus come together during E3 2017, this year might be a disappointment. Kojima has announced that the game will not be shown this year as the team is instead “fully focused” on development. Keep up-to-date with new video game releases like Death Stranding by checking out our upcoming PC games list. The tweet, brought to light over at NeoGAF, goes on to state that fans can watch Kojima and his good pal Geoff Keighley on June 14. He’ll be chatting with the director of the upcoming film based on the Metal Gear Solid series during E3, so he’ll still be at the show in some capacity, just not for the game fans may have been looking for him to be. 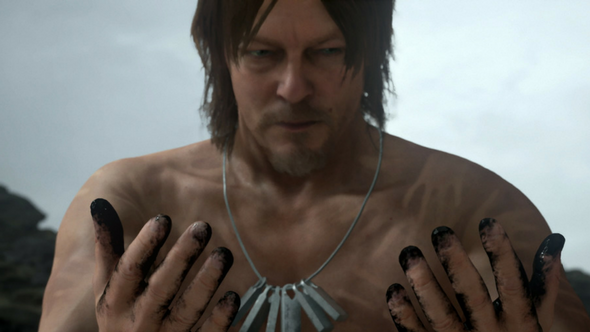 Given the fact that Death Stranding has only just begun development, it’s not so much a surprise that the game won’t be making an appearance at the trade show. As far as what the word “bridges” means in the new teaser image for the game that Kojima shared, that’s anyone’s guess. It’s likely we won’t see any substantial gameplay until next year’s trade show, but there will surely be additional cryptic teases before then.